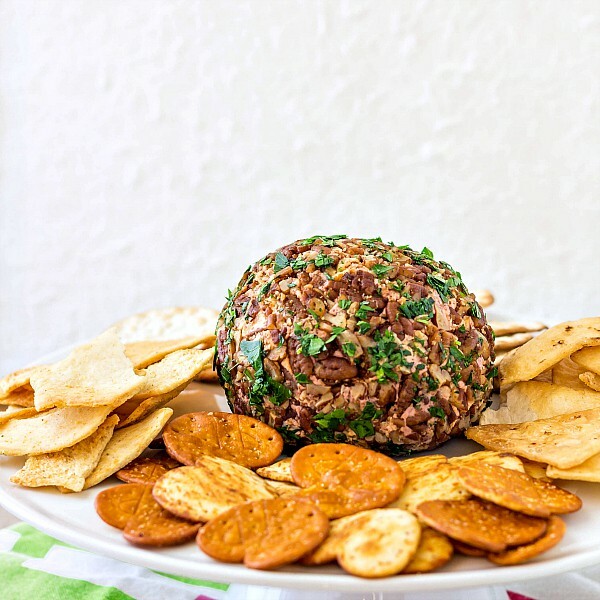 I am so glad you have stopped by to check out my port wine cheese ball recipe! Everyone needs an excellent cheese ball appetizer in their repertoire, right? An easy, cheesy mixture gets blended with a port wine reduction for a retro classic you really can’t beat! 2 What Makes This Cheese Ball the Best? 3 What Is a Port Wine Cheese Ball? Not only is wine a lovely pairing with cheese, but cheese and wine go well as ingredients in dishes. Case in point: cheese fondue! That bit of acidity from wine cuts through the fattiness of the cheese and allows you to Eat Mor Cheez! Another winner in my book? 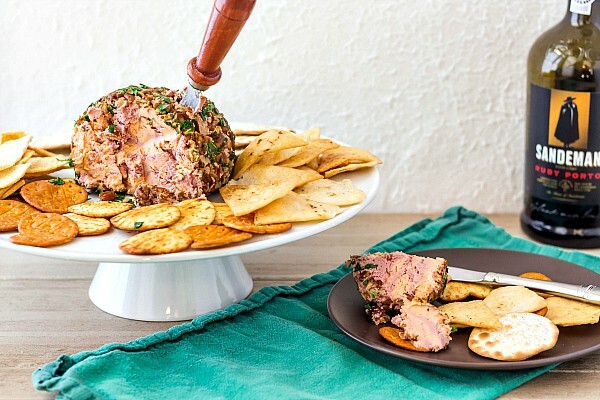 That retro-classic appetizer and cocktail party staple, the port wine cheese ball. Delicious semi-soft-to-semi-hard cheese blended with cream cheese and a bit of half and half is the basic recipe for any sort of cheese ball. What Makes This Cheese Ball the Best? The truly magical ingredient here is the port wine. And not just a splash of port straight from the bottle either. Reducing the port by a factor of 8 yields a thick, intense and sweet syrup bursting with the pure essence of port without the excess liquid that could potentially cause the cheese ball to weep. I can report that, once you make this port wine cheese ball recipe, it will stay in perfect shape for at least a week, even when rolled in nuts. Right before serving, all you need to do is give it a quick roll in finely chopped herbs of your choice for a bit of color, and you’re ready to go! Blending cheddar, cream cheese, and an intense port wine reduction yields the most flavorful port wine cheese ball that won’t weep even after several days in the fridge. What Is a Port Wine Cheese Ball? Honestly, it is pretty much exactly what it sounds like. It’s a cheese spread that gets mixed with a good amount of port and then it’s shaped into a ball or log, or sometimes just packed into crocks. What makes mine a bit different is that, rather than adding straight port or a gelatin port mixture (I saw that sort of recipe on the Internet. I found it upsetting), I add an intense port reduction. Reducing the port on the stove renders it both almost non-alcoholic and super flavorful even when adding just a little bit to the cheese. The whole point of port wine cheese is that it is hard to stop eating, so you will definitely want to make some! I don’t know about you, but I consider port wine cheese almost as retro as it gets. I mean that in a very good way. If you’re a fan of retro recipes, too, here are some on my site and elsewhere that scream the 1970s, loud and proud! Feel free to make the port reduction up to several days in advance. You can also make and assemble the cheese ball a few days ahead of when you need it. All you’ll need to do before serving is roll it in some chopped herbs (optional, but lovely as a garnish) and then let it sit at room temperature for about 45 minutes for the best texture. Enjoy! 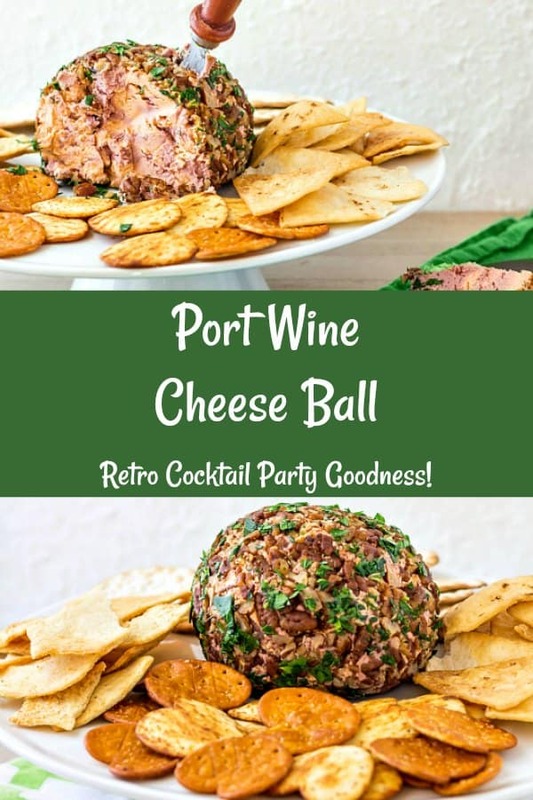 If you are a fan of port wine cheese balls like me, and you think this recipe sounds Excellent, please consider rating and/or commenting. I love hearing from readers! And if you make one, and I hope you do, share a photo of with me on Instagram by tagging @onlinepastrychef and using hashtag #pcorecipe or in the Pastry Chef Online Facebook Group. Can’t wait to see your version! When I was a kid, I thought a port wine cheese ball was the height of fancy. And I still kinda do. Plus, they're delicious. I have made one that tastes almost exactly like what you'd find in stores, only without the artificial colors and gums that can be present in commercial products. 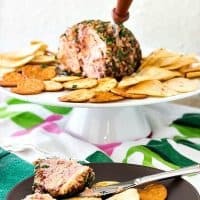 If you, too, were a fan of a port wine cheese ball recipe, or even that little tub of port wine cheese spread, you owe it to yourself to give my version a try! Pour the port into a small saucepan. Crank up the heat and boil until reduced to a thick syrup with a volume of about 1/4 cup. ** Towards the end, watch it carefully. As the sugar content gets more concentrated, the chances of it burning increase. 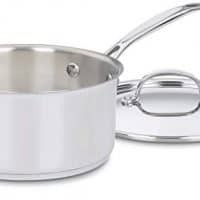 Once the bubbles go from "watery boiling" bubbles to a thicker, syrupy kind of boil, periodically pour it into a heat-proof liquid measure to check for volume. Cut the cheddar and 3 oz of the cream cheese into about 1" chunks and place in the bowl of your food processor. Begin by pulsing to get the cheese chopped up in little bits before just letting it run. Mix a slightly generous 1/2 teaspoon of the port wine reduction and the salt into the half and half. Slowly pour the dairy mixture in through the feed tube. Process until the cheese mixture is very, very smooth, about 2 minutes or so. Taste and add just a tiny bit more salt if you think it needs it. 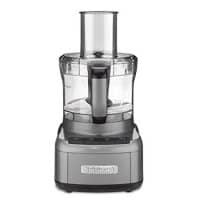 Clean off the blade of the food processor and eyeball the cheese mixture to divide it into thirds. Place 2/3 of the mixture in one bowl and leave the remaining third in the food processor. To that third, add 1 slightly generous teaspoon of port wine reduction and the remaining 1 Tablespoon of cream cheese. Process until smooth, scraping the sides of the container and processing some more until the mixture is a uniform purple-y color. You can add a touch more of the port wine concentrate if you'd like it more purple, but I was happy with mine, so I quit there. In a bowl large enough to hold all the cheese mixture (it makes about 2 cups or so of spread), layer the orange cheese and the purple cheese together in about 1/2" layers: orange-purple-orange-purple-orange. Press plastic wrap onto the surface of the cheese and refrigerate until firm, at least 4 hours. In the meantime, make fix the pecans. 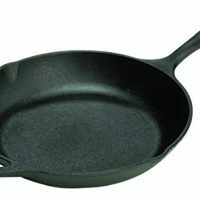 Melt the butter in a heavy skillet over medium heat. Add the pecans, the salt and the hot smoked paprika and stir well with a spatula to coat all the nuts in the butter mixture. Cook, stirring frequently, until the nuts are nicely browned, the butter is sort of foamy and the whole thing smells great, about 5 minutes or so. Let the nuts cool spread out on several thicknesses of paper towels. Once the nuts are cool, chop them fairly finely and set aside. Spread a piece of plastic wrap out on a work surface. Run a spatula around the inside of your "cheese mold" and then cut it roughly into quarters. Put the four quarters out on the plastic wrap with the orange and purple stripes running horizontally on two of the quarters and vertically on the other two. You don't have to do this step. I just thought it would make the bands of color more interesting once you cut the ball open. Your choice. Spread the spiced pecans out in a thick layer on a plate and roll the cheese ball in the nuts until it is evenly coated. You may have to press some on with your hands. Just try to get it evenly coated. Wrap in a clean sheet of plastic wrap until serving time. About 45 minutes before serving, roll the ball in the optional chopped herbs and allow to sit at room temperature for best flavor and texture. Serve with crackers, pita chips, vegetables or whatever your heart desires. Rejoice in the deliciousness of your retro masterpiece. **You will not need all the port reduction for this recipe, but if you try to reduce a smaller amount of port, you'll end up burning it. Add a touch of water to the remaining reduction so it's still syrupy but not so thick. Then you can brush it on berries for a berry pie or just toss berries in it as a topping for yogurt or something. Enjoy! Nutrition Information is based on 16 servings of about 1 oz each. So good, right? 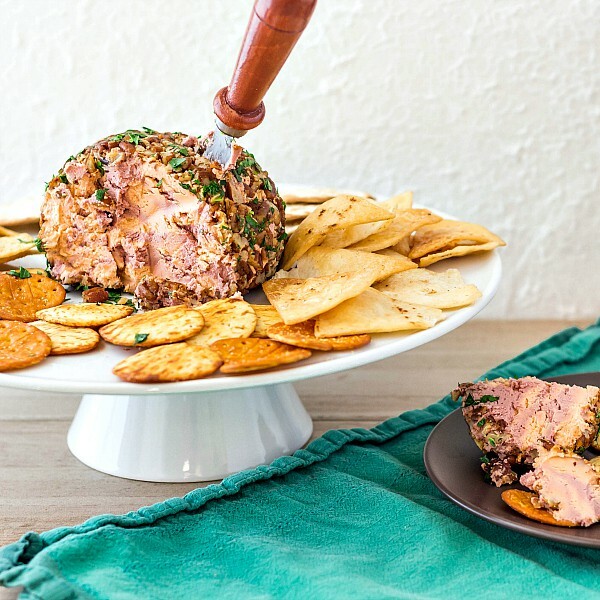 If you only have one port wine cheese ball recipe in your repertoire, please make it this one. 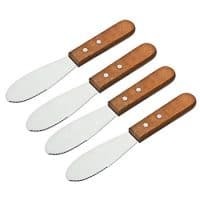 Most of the other “copycat” recipes I’ve seen online either direct you to blend straight port in with all the cheese, which I think lends a harsh edge from the alcohol, or they make a sort of “port Jell-o” made with port and gelatin and then layer that in with the cheese spread. I’m sorry, but: yikes! I humbly submit this third alternative as being The Best. Do give it a try and see what you think! 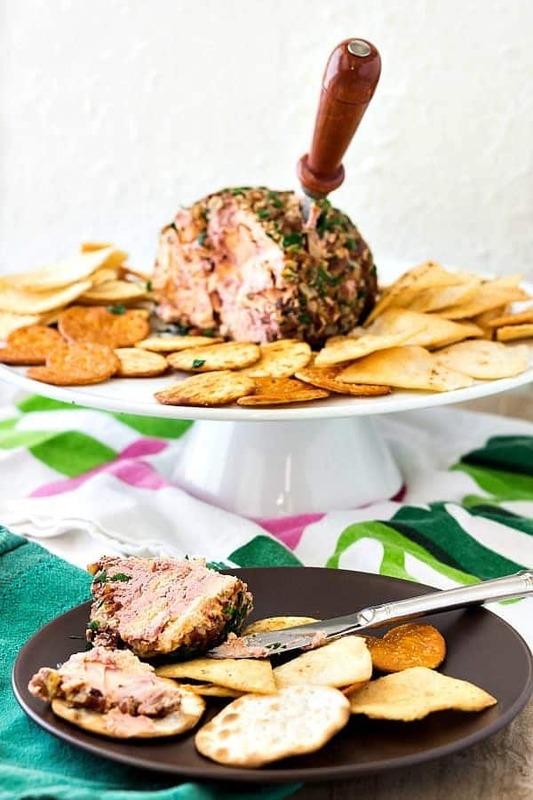 Are you a port wine cheese ball recipe fan? Let me know what your favorite retro appetizer is–I’d love to travel down memory lane with you! Wow, adding syrupy port was genius! What a terrific, irresistible way to combine wine and cheese! Thanks for hosting, Jenni!!! Thanks Liz! And once you have the syrup, the cheese ball comes together really quickly. I will definitely be bringing this one back for holiday parties! 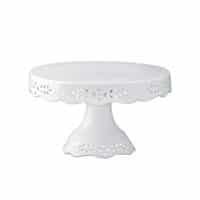 Looking forward to your mascarpone cheesecake for dessert! Wow!!! This looks really gorgeous! And reducing the Port is genius. Thanks so much for taking the helm with us this week. Your topic was very fun to play with! I have a bottle of port that a friend gave me a while back and I’ve never done anything with it. Wonder if it’s still good? If it is, I’m definitely pouring it into this cheese ball! 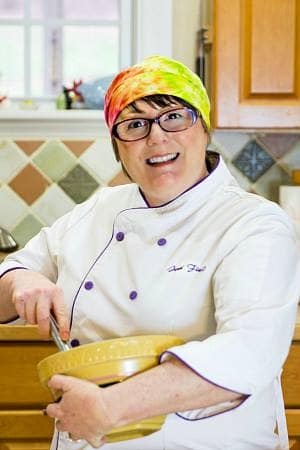 As always, you take a recipe and improve on it – I learn so much from you Jenni. I loved this month’s theme. So elegant and nice. I love what you did with port wine! Amazing stuff, Jenni. Yum, love a good cheese ball! I’ve never tried making my own port wine cheese, though. Great idea! Thanks, Megan! I was really happy with how it turned out–and it was much easier to make than I had initially thought. Hooray! I always love those gift baskets with port wine cheese spread. Now I can make my own! So delicious!! Would it make a huge difference in flavor or texture if I used pre-packaged shredded cheese instead of dicing up the block? I think since it’s blended, probably not, but generally speaking, pre-shredded cheese is tossed with some anti-caking powdery…stuff (technical term!) that can affect the texture and its meltability. But since you’re not melting it, I’m guessing it will probably be okay. Give it a shot–it most likely will work. Do let me know, and thanks for getting in touch, Hol!